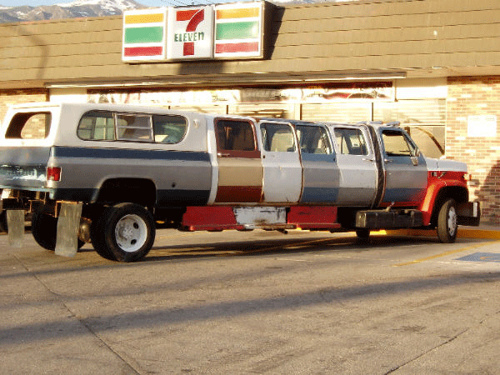 Noooo…its a Redneck Family Car 😀 Now they can fit all their kids in!! hahahaha. The fact it’s next to the local “stab-n-grab” is pretty funny too………probably the get away vehicle,eh? This would a be pretty sweet if it was painted all the same color. Good for burn rides or a shaggin’ wagon.